Free phone service for phablet? My daughter wants an Android phablet to use at school and to chat with her friends. I've been looking for something cheap as a Christmas (now post-Christmas) present. I discovered today that FreedomPop sells phablets and was considering purchasing one when I discovered that there is no option for the free phone service (just free data). The cheapest phone plan is $20/month, which is more than my daughter (or I) can spend. 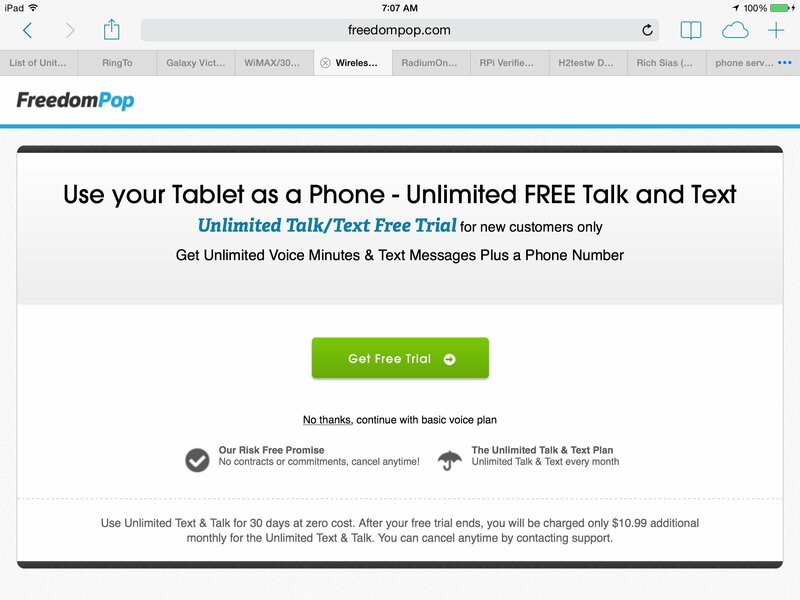 My question is, can I purchase a BYOD device and then activate it on FreedomPop, using a free plan? Or is there something special about phablets that excludes them from the regular FP offerings? I can understand that if you're buying a cut-rate phablet from FP that they want to get you on a fee plan, but I don't see any inherent reason why I can't buy a used device on my own and then sign up for a free plan for a Samsung Galaxy S3 but not a Samsung Galaxy Tab 3. Does anyone know for sure? @crcurrie‌ unfortunately you can only activate the devices FreedomPop sells or that they allow through their Boyd plan list. FreedomPop is still in Beta development, and at the mercy of Sprint when it comes to devices that can be brought online. So though the devices everyone wishes they could activate are many, at this time everyone cannot be granted their wish. But keep watching, other devices are probably coming soon. Visit our Facebook page our blog, follow us on twitter and visit our forum often to stay tuned to the latest news and device announcements! @WD80 Cleaner M.A.Lopez II So you're saying that even though FreedomPop sells the Galaxy Tab 3, if I buy a Sprint Galaxy Tab 3, FreedomPop can't activate it. Is that correct? Does the fact that one can't bring in a BYOD phablet have something to do with why FP is not providing a free-service option for phablets, as they do for phones? @WD80 Cleaner M.A.Lopez II I just read the list of BYOD devices and Galaxy Tab 3 is on it. So the question remains, if I tried to activate a BYOD Galaxy Tab 3 on FreedomPop, would I be able to get a free plan, like I can with my Galaxy S3, or would it classify the Tab 3 differently, shunting it to pay-only plans? I logged out and 'ordered' a tab 3. I had to pick a phone page and find I want tablets instead link. Then chose tab 3 for $179. It mentions phone & text services. 4. See two screens attached here.